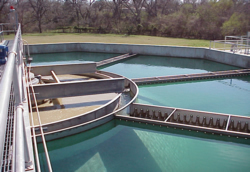 Provides low-interest loans for the construction of a variety of water quality protection measures, including wastewater treatment facilities and stormwater and nonpoint source management facilities. The Financing Program also provides loans for activities such as open space land purchase and conservation, remedial action activities (including brownfields) and well sealing. P.L. 1985, c. 329 N.J.S.A. 58:11B‑1 et seq. and P.L. 1992 c.88. System developed each year by the DEP. Each project is evaluated and point scores are assigned. compliance with requirements and deadlines for planning, design and application. Satisfy the planning, design and application deadlines and requirements. to be submitted in the beginning of October. The Department traditionally provides loans at 0% interest for approximately 20 years for up to one‑half the allowable project costs. The Trust offers loans at about the market rate or less for the remaining allowable project costs, also for a 20‑year term. Between these two funding sources, the rate on the loans is essentially half the market rate. Approximately $100 million‑$200 million is available per year. In an effort to promote Smart Growth initiatives, the Financing Program will continue to offer the Smart Growth Financing Package through which 75% of the project costs are funded by DEP at 0% interest and 25% of the project costs are funded by the Environmental Infrastructure Trust at market rate to projects that serve Urban Centers/Complexes, combined sewer overflow abatement projects and open space land acquisition projects. In addition, three more project categories have been designated as eligible for the Smart Growth Financing Package. They are: (a) wastewater and/or stormwater infrastructure projects to serve Transit Villages, (b) site remediation projects in DEP-designated Brownfields Development Areas (BDAs) and (c) projects that involve the repair and/or replacement of individual septic systems through a Septic Management District. Other areas suitable for development may also be added to the Smart Growth Financing Package as time goes on.